Once upon a time a salad was merely a few lettuce leaves tossed together. But times have changed. 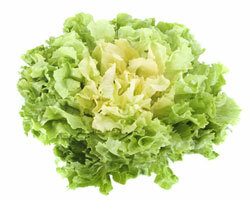 Today there is no need to rely on the same old iceberg lettuce. With all the different types of salad greens available, boring salads are a thing of the past. But if the range of choices leaves you confused here is an easy guide to the wide range of salad greens available to us now. Lettuce forms the basis for most salads. It adds color and texture with its leafy greenness. 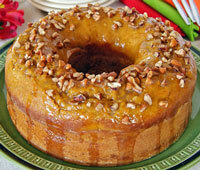 With all the different varieties available now, it is possible to make your salad bowl look and taste amazing. A classic variety they have a pale heart and floppy, loosely packed leaves. 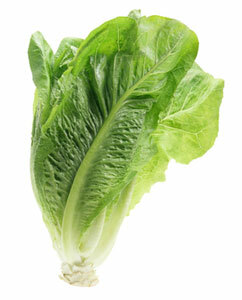 A tender soft-leaf lettuce with a buttery flavor, they are best when fresh. Best known is the iceberg. Crisp leaves are packed tightly into a round head. They have an excellent crunchy texture and will keep much longer than butterheads. As the name suggests these varieties don’t have a heart, with loose leaves instead. Not known for their taste, they provide color and decoration. A tasty lettuce it has an elongated head and dark green, long, narrow leaves. With a crispy, crunchy texture and a sweet, tangy flavor this is a popular salad green. The interior, lighter leaves have the most flavor. 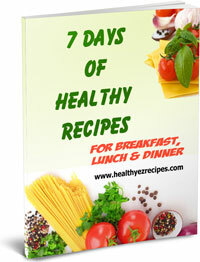 Low in calories, it is a good source of folate and antioxidants with a small amount of dietary fiber. Although the best lettuce is fresh from your own garden, that’s not always possible. Lettuce always tastes best when fresh, so whether you buy it from a farmers market or your local supermarket, look for crisp, green leaves and avoid anything looking sad and limp. Nowadays lettuce is often sold pre-packaged already shredded. If buying pre-packaged, check the use-by-date. Arugula is a leafy green herb. It has elongated dark green leaves and is often found in mesclun salad mixes. The leaves have a hot and peppery taste and can be eaten raw in salads or cooked. They are excellent sautéed lightly in olive oil or steamed. 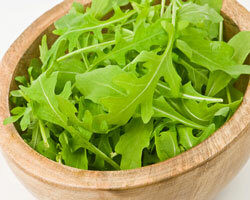 Very low in calories, arugula is also a good source of vitamins A and C, folate, calcium and magnesium. Curly endive has an off-white center and loose, lacy, dark green outer leaves which curl at the tips. The leaves have a prickly texture and a slightly bitter taste. The darker the leaf the more bitter the taste, which is why some people prefer the paler inner leaves. 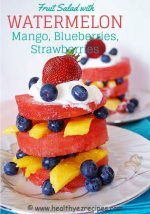 Usually added to salads, but only in small quantities because of its bitter taste. 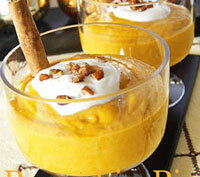 Can be lightly wilted and served warm or added to soups. But it doesn’t survive prolonged cooking. Escarole is a form of endive, but not as bitter, with broad bright green leaves that grow in loose heads. The outer leaves are a dark green. But as the leaves are peeled back they lighten in shade. The lighter the shade the less bitter the taste. 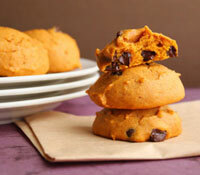 The result is that you can achieve different flavor variations by using different colored leaves. Escarole is a versatile and tasty green that can make an ordinary salad outstanding. 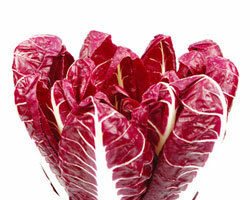 A member of the chicory family, radicchio has burgundy-red leaves with white ribs. The leaves have a peppery flavor and add texture and color to salads. Radicchio can also be grilled or roasted and mixed with other grilled vegetables. When buying radicchio look for larger heads with looser outer leaves. 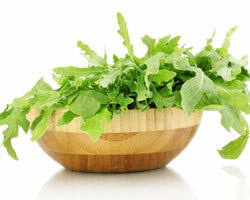 Rocket has small, elongated, dark green leaves with a peppery taste. Typically eaten raw in salads, wraps and sandwiches, it is also delicious lightly steamed and goes well with pasta and risotto dishes. 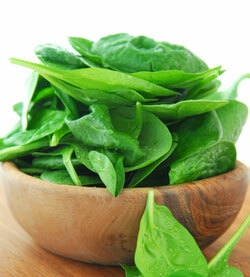 Spinach has dark green leaves that can be curly or smooth, depending on the variety. An extremely popular and versatile vegetable, it can be used fresh in salads or cooked. 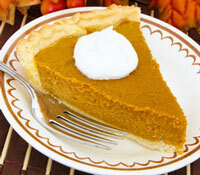 Usually available fresh year-round, it is also available canned or frozen. When buying fresh, choose leaves that are crisp and dark green with a fresh fragrance. 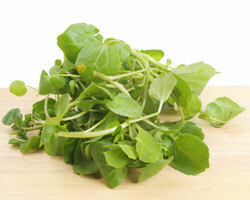 Watercress is a member of the mustard family. It has small, crisp, dark leaves with a mustard peppery taste. Watercress can be used a variety of different ways, as a green in salads or a garnish. 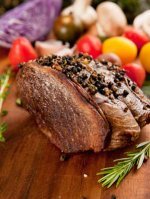 Its peppery taste often sees it added to sandwiches. 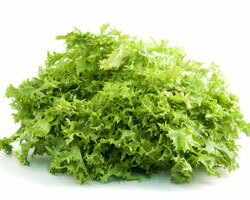 Mesclun is a salad mix that often includes many of the above salad greens. Often packaged as “gourmet salad greens” it allows you to buy a mix of different types of salad greens without having to buy each one separately.